More than 530 social homes first announced three years ago will not be completed and ready for occupation until at least 2020. Construction work will not begin on units across the Greater Dublin Area until next year at the earliest, despite the project being announced in October 2015. The homes are planned on six sites in Dublin, Louth, Kildare and Wicklow and form part of the first major public-private partnership (PPP) housing project since the collapse of developer-led social housing a decade ago. Works will take between 12 and 24 months to complete, meaning homes are unlikely to be delivered before 2020 - some five years after being first announced. This is the second major housing project that has been delayed. Last week, it emerged that a new Dublin city quarter at Poolbeg West, where construction works were due to begin in 2017, had been hit with a delay and had not yet secured planning permission. 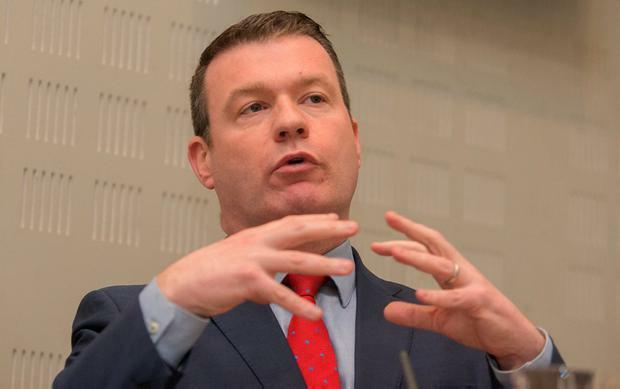 In the latest development, the successful tenderer for the first bundle of PPP social housing projects was revealed only yesterday, despite former environment minister Alan Kelly announcing the site locations in October 2015. His successor, Simon Coveney, told the Dáil in March last year construction works would begin in 2018 with units to become available in 2019. In a statement, the Department of Housing said the Comhar group had been selected as the preferred tenderer. It is made up of Macquarie Corporate Holdings, which will provide equity funding; construction contractor Sisk; Choice Housing will be facility managers; and Oaklee Housing will provide tenant management services. The contract is worth in the region of €100m. The tender process began in May 2017, and the contract will be signed in December or January. Construction of the 534 houses and apartments will take up to 24 months, depending on the site, it added. A spokesman said there was no delay in delivering the units, and that it was always expected to take a "number of years". This was largely due to a new form of PPP contract, where the project is benchmarked throughout the process to ensure it represents value for money. The National Development Finance Agency, which ran the procurement process, said the timeline was in line with "market norms" and that the homes were scheduled for completion by 2020 as planned. The Social Housing PPP Programme involves an investment of €300m to deliver 1,500 homes in three bundles. The second bundle of 450 units are planned in Galway, Cork, Waterford, Clare, Kildare and Roscommon. Sites for the third are being identified. Under the model, developers are given a licence to build on State-owned land and receive payments from the Government for 25 years for use of the homes, before they revert to public ownership.